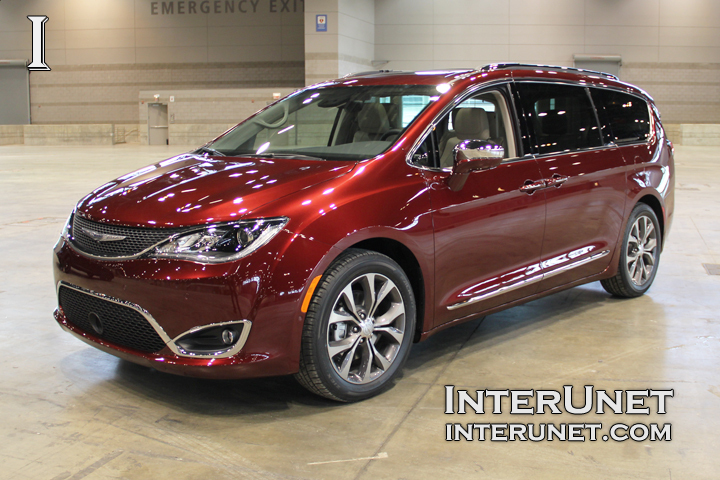 2017 Chrysler Pacifica – new family oriented minivan. 2017 Chrysler Pacifica equipped with 3.6L V6 engine which generates 287 horsepower. Front-wheel drive minivan has 9-speed automatic transmission. Great entertainment system, roomy interior, comfortable seats and even available Stow ‘n Vac system powered by Ridgid make the new 2017 Chrysler Pacifica a family friendly vehicle. 2017 Chrysler Pacifica Limited features 360 degree surround camera, forward collision warning and adaptive cruise control.